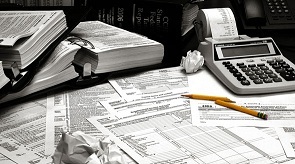 Our lawsuit lawyers represents employees who as private individuals who report tax fraud committed by their employer. Employees may be rewarded for their whisteblowing by receiving a portion of the recovered damages. For example, an employee may receive a reward from the Internal Revenue Service for reporting employer tax fraud and tax underpayments. For example, some employers may misclassify large groups of employees as independent contractors to avoid payroll and other taxes. For example, if a current or former employee is aware that his employer is underpaying taxes or evading federal taxes in the amount of two million dollars or greater, he should contact us immediately. Our attorneys are skilled in advising such employees and representing them so that they may be eligible to receive a portion of the underpayment or non-payment. Call our whistleblower lawyers now at 800-893-9645 and schedule your consultation.